We have made it easy for you to print your application! Just print, fill out and bring by the office with application fee! 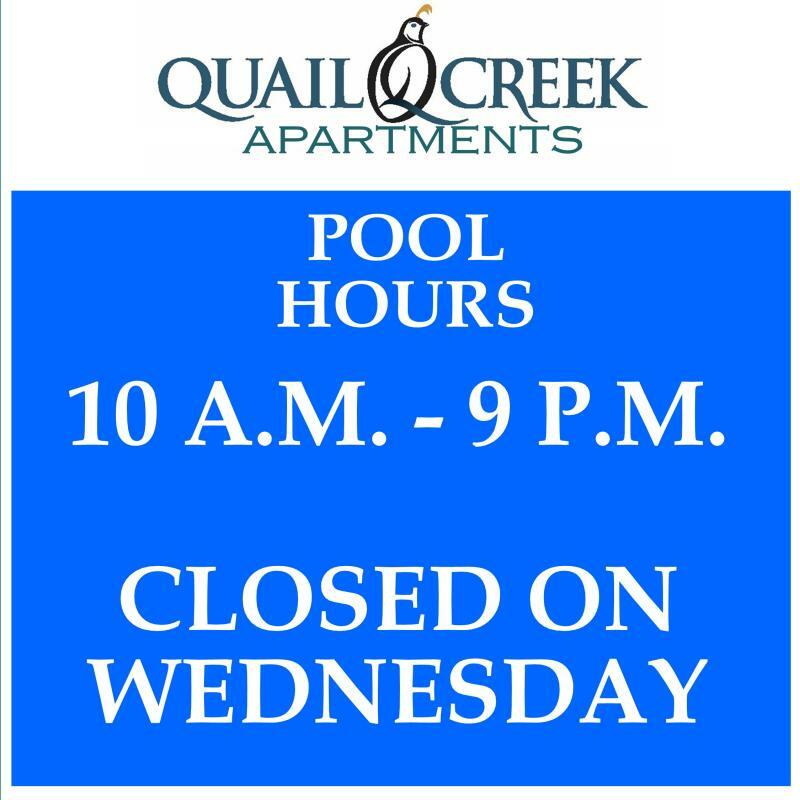 Thank you for considering Quail Creek Apartments to be your new home! We are a great place to call home! NO LIFEGUARD - Swim at your own risk. NO one under the age of 16 is allowed at the pool without a parent, or guardian who is at least 21 years old. NO running or rough play is allowed in, or around, the pool. NO loud or boisterous behavior allowed in, OR around the pool. NO loud music is allowed in, or around the pool. NO pets are allowed in, or around the pool OR apartments. NO food or beverages are allowed in, or around the pool. NO lewd or indecent behavior allowed in OR around pool area. NO floats, group games, parties or picnics (swimming and sunbathing – only – are permitted). Proper swimming attire required (no cut-offs or street clothing). Tenants are limited to 1 guest and the tenant AND must accompany their guest at the pool. Copyright 2015 Quail Creek Apartments. All rights reserved.